PORTLAND, Oregon – The Portland State University community is awash in #DisarmPSU activism after armed campus police shot and killed a black man with a gun at a campus bar this summer. One student of color stood against them Thursday, arguing that armed campus officers may be her only real protection against violence on the downtown campus. Kathryn, who asked not to be identified by her last name for her own safety, was the only person to testify in favor of keeping the campus police force armed at a contentious Board of Trustees meeting. She shared her fears that people who are stalked can only defend themselves with pepper spray. She said many people in her building “won’t go near the dumpsters after dark” because the neighborhood can feel unsafe, with homeless people lurking and drug paraphernalia on the ground. The trustees appeared increasingly uncomfortable during the meeting as protesters – many wearing white bandannas to hide their identities – bellowed “Disarm PSU!” and warned the board that blood would be on their hands if campus police shot another person. Some demanded the resignation of trustees who voted for the policy. Only white supremacists use guns? Last month the administration commissioned a review of its policy that arms campus officers, which took effect three years ago, in the wake of the shooting of Jason Washington, a non-student with a concealed-carry license. But it has been reluctant to agree to specific demands by protesters, including the immediate disarmament and firing of the two officers who shot Washington. Vice Chair Gale Castillo opened the meeting by sharing her grievance with Washington’s family, which attended the meeting but declined to speak. The Navy veteran was the first person to be shot by campus police. Members of the PSU Student Union, an unofficial body of self-described radical campus activists, berated the trustees for giving their condolences to the family. They called it a “farce” because the board voted for arming campus police in 2014, and therefore have blood on their hands. The group is demanding disarmament, the firing of the two officers who shot Washington, and the construction of a permanent memorial to Washington. They claimed the administration removed a temporary memorial to Washington to hide the summer shooting from returning students. Emotions flooded the room as speaker after speaker at the open microphone, including at least five faculty and staff members, expressed their sorrow for Washington. He was trying to break up a fight between his inebriated friend and another person, picking up the friend’s gun when it fell on the ground outside the bar. Less than a second after two officers ordered him to drop it, they fired 17 shots, hitting Washington nine times. He was also highly intoxicated at the time. A grand jury refused to indict both officers. Protesters repeatedly used the phrase “growing body of evidence” as they took turns at the mic. They argued that police in general are overwhelmingly racist toward people of color and cause them trauma, anxiety and heightened stress, in addition to shooting unarmed black people. Many said officers must be trained in de-escalation tactics. One speaker, Clarice Jordan, said they should learn about both old and new racism. Another who did not identify himself cited his experience as a Marine on two tours of duty in Iraq. He said only white supremacists kill with guns, and therefore PSU’s arming of campus police is the same as arming white supremacists. One white protester said she didn’t want to “tokenize” her black boyfriend by sharing her fear of losing him at the hands of a cop. But she told the trustees that they “contribute” to her fear because of the policy they approved nearly four years ago. “Who knows what would have happened” if PSU had never armed its police, “but my senses are that had the officers not been armed probably nobody would have died and it would have been de-escalated,” student and #DisarmPSU activist Garth Ubshaw told The Fix before the meeting. 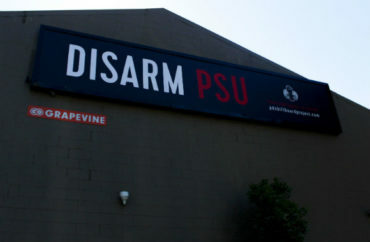 The slow reaction of Portland Police to campus emergencies was one of the factors in PSU deciding to arm its own force, however. At the time, PSU was the largest public campus in the U.S. without a sworn police force. It remained reliant on a single Portland Police officer assigned to its part of town. The Oregonian editorial board supported the arming, citing the “porous” borders of the downtown campus and high percentage of people arrested on campus who have prior arrest records and no association with the university. At least two others at the meeting supported the position shared by Kathryn, the lone speaker to support continued arming of campus police. 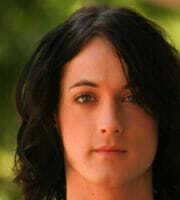 “I think it was a more difficult situation than can be easily explained. There were a lot of variables at play,” veteran and student Hunter Decker told The Fix. Emi, a student and active military member who declined to provide her last name, said she wishes “survivors” like herself could carry their legally owned guns on campus. And I think we’re definitely underrepresented, and anything we say is immediately going to get attacked by the majority. And I feel like they’re talking about ‘don’t silence us,’ ‘give us the time we want to talk.’ I’m afraid to say anything because of [the audience hissing at statements they don’t like]. And I just don’t feel like nobody would listen to me and that I don’t have a voice. An elderly community member went far over the two-minute speaking time with an impassioned speech about her encounters with police, post-traumatic stress disorder and fear that she’ll be killed. Edeyth Gillis later gave The Fix the sheet of paper from which she read. The time you wasted not listening to us and responding properly before requires you to listen longer and act promptly and rightly now. … Invest in the hard work of introspection and decolonizing our minds and hearts, overcoming more and more the racism, sexism, classism, ableism, etc. of the dominant culture and university culture, to create a world that we urgently need. In a generic advisory after the meeting, Director of Media & Public Relations Kenny Ma explained to the media why the university isn’t immediately disarming police. Sgt. Willie Halliburton, who is often the most vocal member of the campus police, did not immediately return a call from The Fix.